Rasor's Home Repairs, is a local company at the same local for 25 years, meeting homeowners needs daily. Want to connect with Randy? It is always best, before you begin any project, is to know which service you'll need i.e. contractor or hourly service. 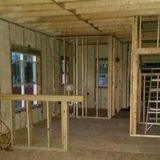 I suggest to take short time and get both high and low cost with everything in writing for a complete cost of your remodel and or repairs you may need. Saying this our service offers multiple talents that we preform at one time to pass savings on to you. Contact Rasor's Home Repairs today for your free estimate up to a full remodel, thank you for your consideration for our company. Further more we always offer our services guaranteed to your satisfaction.